SMITE isn’t shy about the kind of game that it wants to be. 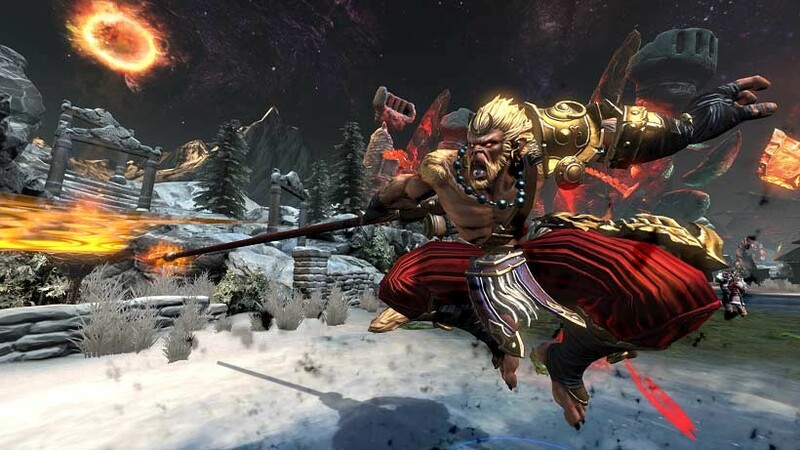 A massive Multiplayer Online Battle Arena (MOBA), SMITE wears its influences on the sleeves of the various deities who comprise the pantheon of characters that players get to choose from. 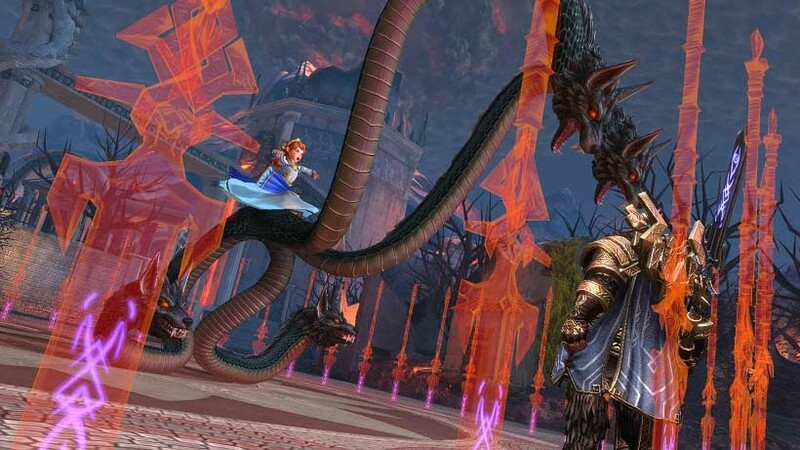 Fortunately, SMITE goes above the usual MOBA fare that has attracted and destroyed various other big-name properties, by actually adding a few neat twists to the formula. It’s that third-person perspective that actually makes SMITE interesting, instead of being yet another excuse to burn through your mouse with an over-abundance of clicking. And by doing so, SMITE manages to create its own identity, and stand out from heavyweights such as DOTA and League of Legends. All the usual MOBA tropes are still there however. Lanes need to be policed, characters constantly level up and kills earn you gold. Avenues of attack can be farmed, NPC soldiers can help you out of a tight situation and teamwork is of the utmost importance. But here’s where the game gets interesting: It requires a completely different set of skills alongside the usual MOBA tactics, in order to be victorious. The third-person perspective forces players to place greater emphasis on timing an attack, as well as landing it. While players have full access to a horizontal navigation system, their vertical axis is more limited and thus enforces this idea. So does the more limited pool of mana and cooldowns, resulting in more measured special attacks with little room for error when they don’t land. It all comes down to timing, placement, tactics and teamwork when you go deeper down the SMITE rabbit-hole. Fortunately, the control scheme is up to the task, giving players the quick reflexes needed, provided that they’re prepared. And it also helps that the cast of gods on offer can benefit various tactics. Long-range, crowd control, high single target damage and more wait for players. Attacks and commands are mapped properly, with abilities being face-button inputs, while auto-options in the game keep the third-person action influences flowing. There’s a nice variety here, with deities that can suit particular roles for particular games, with the learning curve being just steep enough as the gods are divided into various camps of mastery. While Zeus is a chain-lightning wizard-god with mid-range attacks and shields, Fenrir can go berserk and jump into the fray of battle by buffing his health-regen and armour, as an example. Still, this curve is worth taking in the various tutorials for, and experimenting in player-vs-AI matches, as an uneducated SMITE player can be a hindrance to himself and the team. 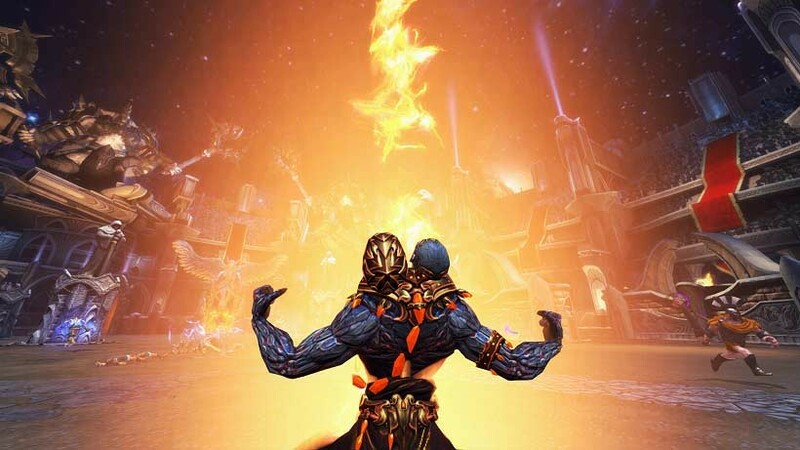 So here’s the big question: How does the freemium model impact on SMITE? It’s actually pretty damn good. 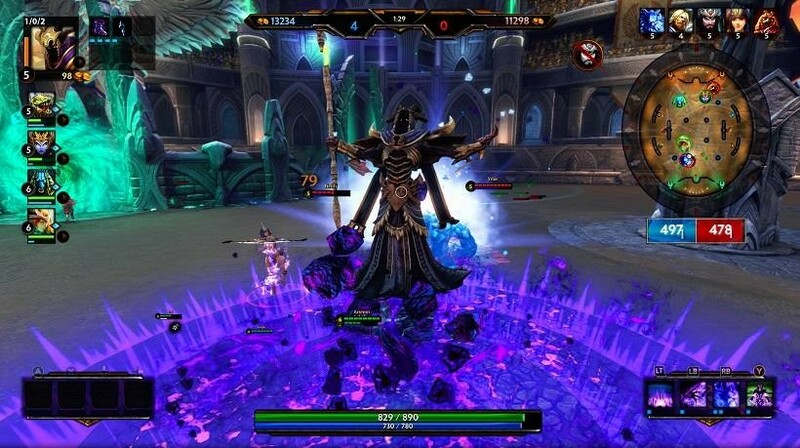 The free-to-play system has more than enough gods available for play, with a regularly rotating pantheon. If you want, you can slap down some coin for individual gods, who can be customised with various skins. Or if the game strikes your fancy, you can throw down an entire $30 which will unlock every god in the game, as well as future additions. And that’s something that I actually like, because a free-to-play game that already knows and offers its worth to players, is a confident game. It’s a nice way to bypass micro-transactions, and to jump straight into the game with plenty of options after having a solid taste of what’s on offer. For the sake of clarity, my review copy included ALL the gods available, which I cycled through. Just to get a proper feel of the freemium model, I played SMITE on another account, strictly on free-to-play settings. And the result was that the game felt solid enough without needing to drop any coin on it. The only real downside to SMITE, are the visuals. 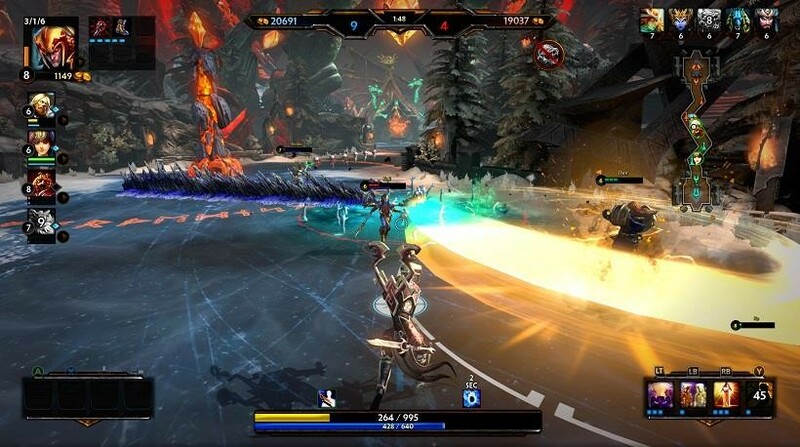 And that’s understandable, as SMITE was designed to reach as wide an audience as possible, on as many PCs as it could. That resulted in an engine that looks alright at best, and properly old-gen at worst. Still, the art itself is whimsically animated, so there is some charm to the game. But hardly new-gen stuff here. 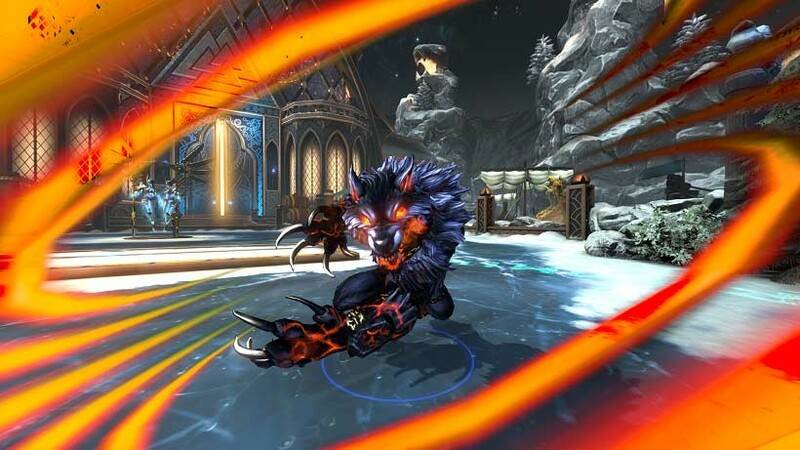 With the freemium model, SMITE is worth trying out if you’re a MOBA fan with an Xbox One. There’s zero risk, a massively deep game to jump into and a surprising play-style that actually makes the genre fun, instead of a reason to daydream about drowning the people on the opposing side for rushing you.